3M2-GD4500E2-PK - The Guard Dog Elite 2 is the fully loaded, all bells and whistles model with an exclusive 6 prong design, giving off a Triple Shock effect. With a built-in LED flashlight. The Guard Dog Elite 2 is the "fully loaded", all "bells and whistles" model with an exclusive 6 prong design, giving off a "Triple Shock" effect. The first ever stun gun of it's kind to fire off three simultaneous sparks of 4.5M volts of power and protection! The Elite 2 also possesses a disable pin feature, which completely disables the stun gun after the device is taken away from you to prevent a criminal from using your own stun gun against you. Comes in a fully rubberized body for non-slip grip, a built-in wall rechargeable batter (just slide out the built-in charger and plug it into the wall), a safety switch (but quick-trigger for prompt usage), and a built-in LED flashlight. It includes our ideal 100% leather belt case. NEW! 6-Probe Design, TRIPLE SHOCK! NEW! 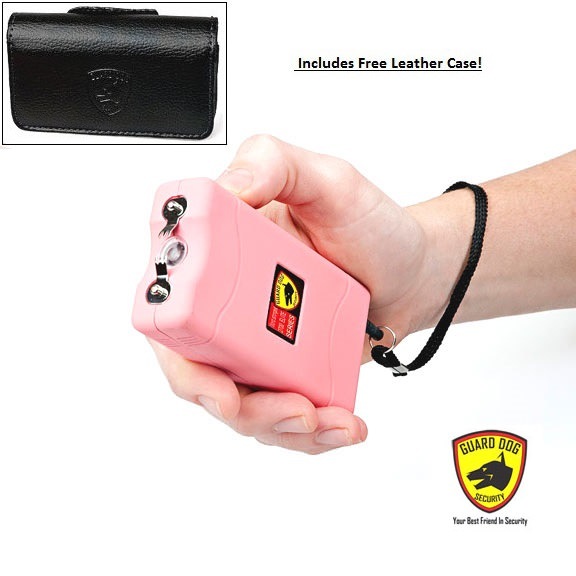 Powerful 4500k stun gun! NEW! 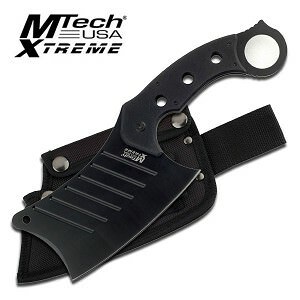 Leather magnetic flip-top holster w/ belt clip and loop included!